It’s a small c# app that works on windows mobile (tested in WM 6.5) and windows XP. – fixed TAF fetching for some stations. – added the posibility to see pressure in inHg. – changed the way results are displayed. 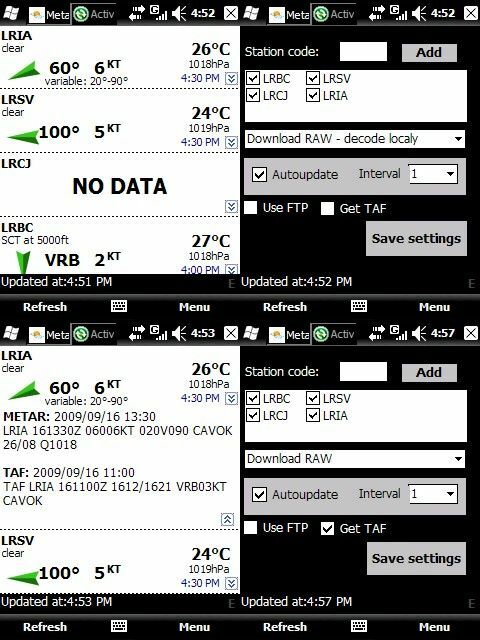 I’ve lately started to use Metar Mobile a lot for my preflight briefing and found some errors. I found that it can’t get met&taf for all airports in my country, Croatia. Some airports are covered and other ones aren’t. 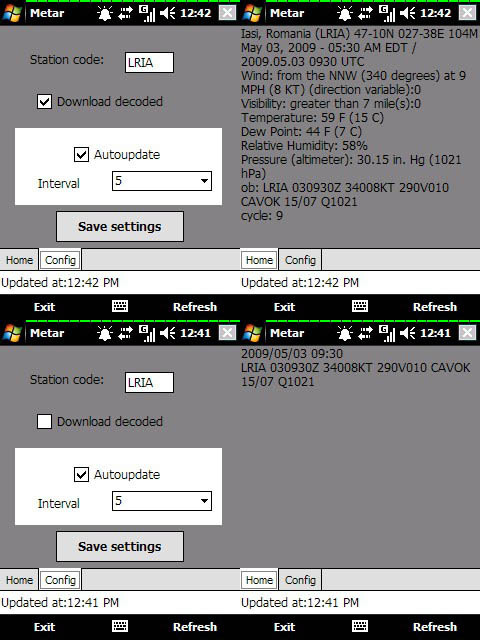 For example if i want met info for LDZA, LDZD, LDSP everything is ok , but if i want it for LDLO, LDSB, LDRI app crashes. All of them are in my country AIP’s publication as major airports… Can i ask what is the source of retrieved data. Personally i found that this web page is the best for preparation of flight. 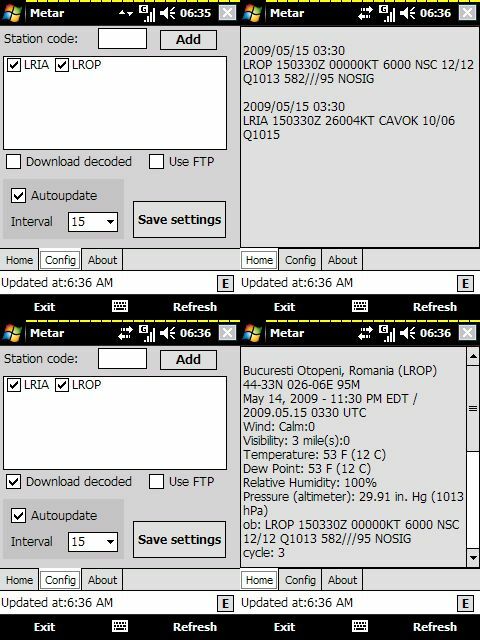 It has all meteo data and notams for FIRs and airports. Maybe you can make your program to pick data from that page. I will look into the problem as soon as i can. It sounds disturbing that the app crashes, never had such behavior before. I’ve tested with LDLO, LDSB, LDRIA either on PDA or on PC and didn’t manage to crash tha app. 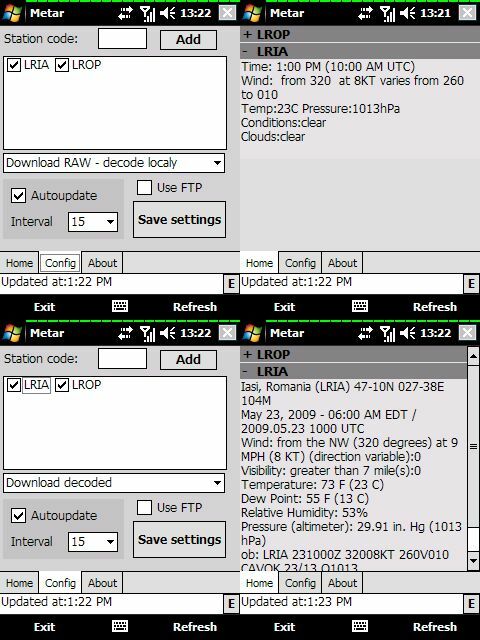 LDRI and LDLO seems not to be automated stations and they don’t have up to date data. (searched around the web and didn’t find newer data than mine). If your problem persists please send me your config.xml so i can test with your actual settings. An excellent programme for us Pilots! I have had to watch guys on the flight deck with the iphone getting the weather whilst I sit with my WM quitely – but no more! Many Thanks..
Just found & started using the app, its great! * Change the order stations are displayed (i want to put local &/or common destinations) at the top.